FINANCIAL LITERACY WORKSHOPS / The next great money and wealth managers may be among us! Thanks to BNY Mellon Wealth Management, Core scholars have been participating in an ongoing series of Financial Literacy Workshops. 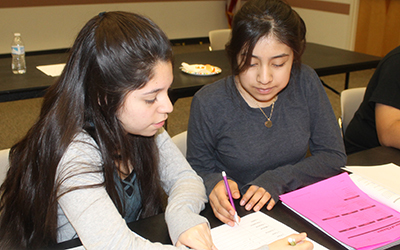 Covering everything from budgeting to saving to debt and investing and more, Core scholars are learning to be money smart and financially savvy. 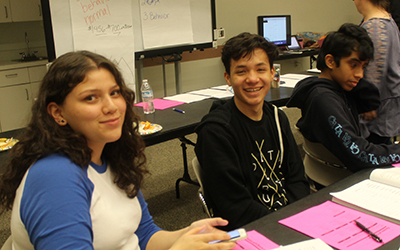 Designed to help teens prepare for adulthood and all the financial challenges involved, the Financial Literacy Workshop offers a curriculum that includes opportunities for individual learning and discovery as well as group activities. The scholars see and appreciate the value in learning about money. “As I get older and start to work, I need to know how to handle money without it burning a hole in my pocket,” said Altrayvia. “I want to learn to be financially stable,” shared Gisela. Presented by BNY Mellon Wealth Management, the program is overseen by Jessy Liddell, chair of the company’s Diversity and Inclusion Council for the Nevada and Arizona offices. “Core is an amazing institution. We found the leadership as well as the values and teachings of Core to be exceptional. One of our goals, when reaching out to the community, is assisting those who need assistance. Therefore by providing a financial literacy program we are not only teaching and benefiting the scholars but we look to help their families as well,” said Liddell. Liddell was further moved into action and partnership with Core based on the program’s pillar of community service.